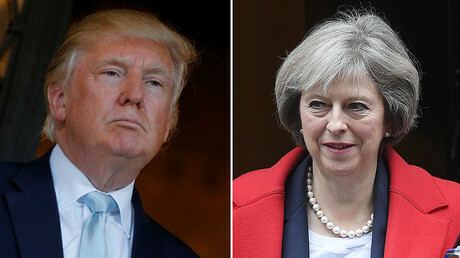 British Prime Minister Theresa May will become the first foreign leader to meet with US President Donald Trump when she visits the US next week, the White House says. Trump will meet the British prime minister on Friday, White House spokesman Sean Spicer told reporters during his first press briefing on Saturday. Prior to extending the first official invitation, Trump spoke with May on the day of his inauguration. Speaking to CIA analysts at Langley on Saturday, Trump seemed quite excited to meet the British politician. Saying that the “Prime Minister is coming over to our country very shortly,” Trump noted that Winston Churchill's statue will be waiting for May at the Oval Office. “I think most of us like Churchill. He doesn’t come from our country but had a lot to do with it. Helped us; real ally,” Trump said at the CIA headquarters. 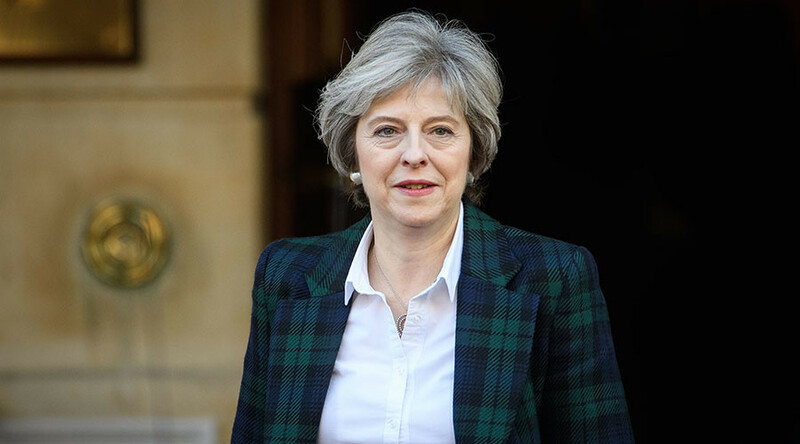 May would meet Trump in the wake of nationwide protests in the US which followed the president’s inauguration. Commenting on the controversy surrounding many of Trump’s statements, May said she would not hesitate to tell him if she finds something he has said unacceptable. “When I sit down [with Trump] I think the biggest statement that will be made about the role of women is the fact that I will be there as a female prime minister... Whenever there is something that I find unacceptable I won't be afraid to say that to Donald Trump,” she told the BBC. While the White House did not mention any specific topics, it is widely believed that Brexit, NATO, and the role of Russia will be discussed in Washington. Trump, who had applauded the UK for voting to leave the EU in June, is likely to extend the hand of friendship. READ MORE: Who is Woody Johnson, Trump’s new ambassador to the UK? The British Telegraph, which spoke with over a dozen sources from both sides, writes that the US side is considering proposing a “passporting deal.” This would allow UK and US firms to set up and trade in each other’s countries with minimal regulatory obstacles. At present, the same arrangement exists between London and Brussels, where UK banks can carry out financial transactions under one set of regulations. Following Trump's inauguration, UK Foreign Secretary Boris Johnson said that he is optimistic about bilateral relations. “We in the United Kingdom will work hand in glove for the stability, the prosperity and the security of the world with President Donald Trump,” Johnson said.